What are God’s Plans for Russia? Christmas Greetings to everyone! I wish I could speak to more cheerful topics, but we are in a war with Satan and evil does not take time off to honor Christ’s birth. So here is the discernment concerning Russia that I have been wrestling with for weeks. What are God’s Plans and Satan’s Plans Concerning Russia? Right now in the news–even over Christmas–there is an uproar about alleged hacking by Putin and the Russian government during the US election. These allegations were repeated by President Obama in his December 16th speech. Add to this present crisis Russia’s aggressive actions over the last year or two, and a disturbing picture emerges of a threat to the Western culture of freedom and the advancement of the Kingdom of God that seems just as ominous as the rise of Radical Islam. I have been struggling to assess and discern Satan’s plans in what is taking place in both battle zones. I urged a group of intercessors to ask the Holy Spirit to reveal to us what is taking place and give us clear guidance about how to pray. Just as it took the combined armies of Great Britain, the United States, and the Soviet Union to defeat the armies of the demonic stronghold of Nazism, it will require the prayers of Christians around the world as well as the armies of the United Kingdom, Canada, and the United States working with Russia to defeat the demonic strongholds and jihadist armies of Islam. This word or impression came to me while in Israel at the Christ Church Guest house at the Joppa Gate in the Old City of Jerusalem. This guesthouse sits right at the border between the Christian quarter and the Armenian Quarter. I kept seeing groups of Russians led by obviously Jewish tour guides and often accompanied by an Orthodox priest. I knew they were Russian because they often carried a Russian flag or some members had Russian flags pinned to their clothes. Each time I have been in Israel I have been impressed not just by the historical presence of the Russian Orthodox Church but also by how many Russian Jews were there. Anyway, I was walking by myself (The rest of the team was off on a prayer assignment), and I wore a small Israeli and American flag pin on my jacket. At one point a large group of Russians walked right by me with their Russian flag leading the way. Then the tour guide herded them forward. As they marched off I was left pondering, “What does this all mean?” That is when these words came to me with what felt very much like a word from the Lord, that these were our allies in this war with Radical Islam. But how? I do not know for sure, but it is worth praying into. Let me share one more insight that came as we were at Revive Israel and having a meeting with Asher Intrater, a greatly anointed leader of the Jewish Messianic movement. Asher was teaching on efforts toward reconciliation between Arab Christians and Messianic Jews. He made what, to me, was a statement of profound significance in discernment of God’s plans for a nation. You do not discern God’s plans for America by the fallen expressions of America such as the evil of Hollywood, but from the redeemed of America. He went on to say that, regarding the role of the Arab cultures in God’s plans, you do not look to Radical Islamic terrorists but to the redeemed Arab Christians. Often, this fallen expression is the opposite of the redeemed expression. It is so important to understand this principle that I have linked to the video clip below so you can view him saying it better than I can. He is speaking of the destiny of Israel, but it relates to every nation. Anyway, when I heard Asher say this, the Lord reminded me of all those Christian and Jewish Russians in Jerusalem and what he may have spoken about our working together in this great battle that we are called into. We need to look to God’s redeemed in Russia and not to the evils of Putin. If you explore deeply behind the scenes you will find that Putin is seen by many in the Orthodox world as the “Protector of the Christian Faith and the protector of Christians.” Google “Vladimir Putin as defender of the Christian faith” and you will be surprised. Also, we need to consider that the entire Orthodox world has a unique God-given role in this war that we are called to. We have been praying for a leadership team that has the four special qualities needed to destroy the Jihadist armies of Radical Islam before they can fulfill their terrible plans of replacement and genocide. Just look at the appointments that Trump is making and it appears that he is doing that. And, is there something also taking place with other world leaders? Is God trying to pull together a new strategic alliance with the English-speaking world – with “Brexit”, with Trump and the Republican dominated US Government, with Japan, Korea, and China…as well as Russia? A new alliance – these nations have the military power as well as “redeemed spiritual destinies” as evidenced in those among their populations who are born again and following Jesus Christ, to destroy Radical Islam and make room for the work of evangelism to take place. Well, I sent this out to a team of intercessors and got back a flood of emails in response. This is such an important topic that I want to bring all of you in on the discernment process. Sorry this does not fit into neat one minute sound bites and is a bit complicated, but we must get it right! I am enclosing a series of responses which I have not edited or altered. There were many others, but these are fairly representative of what I received. Please read them and let the Lord speak to you about how to pray. I first went to Russia in February 2002, just 5 months after 9-11, while the embers of the WTC were still smoldering. We lived just 30 miles from Ground Zero and I had done some “first responder” work with the Salvation Army just 2 days after the planes hit. So my nerves were raw and my mind confused about the who and why of 9-11. I was even a bit nervous about flying to an “enemy” country. But almost immediately, though the mean streets of Moscow felt hostile (and were terribly cold in February), I had this uncanny sense that Russia is NOT our enemy. In fact, they SHOULD BE our friends. As I got to know my preaching class students in Campus Crusade for Christ’s Moscow Bible College, I heard their hearts and sensed their real love for America, for me, for believers in America, and their desire to support us against radical Islamic terror. They understood our pain. One of my students had been a soldier in Chechnya, fighting against Islamists there. So, for almost 15 years now, I have sensed that Russia is supposed to be our ally, not our enemy. Now, as we work with many Russians in Islamic Kyrgyzstan and look forward to teaching Dunamis in March 2017, beginning in Kazakhstan, I all the more sense this: Russian Christians are our friends, our allies. They unite with us in opposing radical Islam. The evangelical church there is about 3% of the population, or less, but they love their countries, they love the lost, they love their brothers and sisters in the face of some difficult persecution. I believe they will unite with the Christian church of the west to love the world and break the grip of radical Islam. I really witness to this! [Our pastor] was sick and weak from fever (I knew this before the service and was in prayer for him). Right before he got up to preach I saw an intense pinpoint brilliant light fall on him – I turned to my husband and asked if he had seen what I saw – no he didn’t. Then the pastor began to preach and the LORD spoke through him in such power – and I wasn’t the only one that heard this. I came out of the service feeling uplifted and a bit shaky when I ran into one of my prayer partners. She begins telling me about these 4 Russian women and how they were so blessed by the Nativity show/play and how they were praying for peace in this world and had asked for prayer in return! As my friend was speaking I felt Holy Spirit tingling through my body – as I was listening to her speak I felt as if the LORD was saying – “yes this is My Will, my children are in Russia, too”. I had walked in the church building feeling down and anxious and ended up leaving feeling touched by Holy Spirit and encouraged. That was hours ago, and I am still sensing this means something, which brings me to why I am writing. Again, I know that this is not super intelligence or super insight and I don’t pretend to understand international military or historical knowledge, but I felt that this could mean something and therefore I lay it out to you. I witness to this, too! There were many more words given. Some offered profound theological and biblical insights, so many that I was a little overwhelmed and asked for help in summarizing all the guidance that we received. Here is a summary by Jon Gurley, followed by some prayer points. Is Russia a Friend or Foe in Our Battle with Radical Islam? To begin with, I want to thank those who have offered discernment on this important question. There were no responses that indicated that we should consider Russia as an enemy but many that encouraged us to join faith with our Slavic brothers and sisters in this crucial time. There is a tendency within the Western mindset to always place ourselves on one side or another on a team or battleground so there will be clearly defined good guys and bad guys. This begs the question: who is my friend and co-warrior in the Kingdom of God, and who is being used by these evil spirits to bring about the kingdom of darkness? Therefore, the great need of this hour is to have godly wisdom and the Holy Spirit’s leading and discernment. Much of this depends upon who we are listening to. Without going into condemnation nor being judgmental of our brothers and sisters, we can only judge ourselves as to where we get our “spiritual nourishment” and how much we are ready, willing, and able to take time for God to speak to us. So, specifically addressing the title of this DTT, let’s not become too dogmatic about political players and instead focus on the battleground. It seems necessary to pray intelligently at a time that world leadership is quickly changing and all too often grossly miss-reported by so-called “reliable news sources”. Why has Russia’s International Image Changed? Why is it that Russia has gone from the image of an ally to become an “evil empire” again? How is it that Vladimir Putin is given the image of the demon-in-chief when many of his recent actions have been accomplishing some things very much needed in protection of Christians? Could it be that an alignment between Russia and the US could conceivably help stop the spread of Radical Islam in several countries? For us to win the battle that is rapidly spreading world-wide, God can very well use a Trump, a Putin, and even any other nation, leader and/or movement to change the course of history. Our duty is to be the intercessor. We are to be one who stands in the gap, builds up the hedge, and restrains the spirits of lawlessness and totalitarianism which are seeking entryway into both Putin and Trump. Our task is to advance the Kingdom of God on earth and destroy the plans of the enemy. For us to not believe that God can or will use the faith of Russian Jews and Christians to enter the spiritual battle is foolishness. Yet to disbelieve that God can use their leaders (as imperfect as our own) to physically stop the Islamic threat is also folly. For those of us who know any history of Islam, Russia has been battling them for centuries and to have them on our side in the physical warfare could be very advantageous. Perhaps some of the greatest info came through a document sent in by Ben Torrey. I have attached a message from Victor Mordecai called “Trump” at the bottom of this Discerning the Times. Give us faith to utilize the dunamis power of the Holy Spirit to restrain the spirit of lawlessness and anarchy that is raising up in our times. Help us to support the Joshua warriors on the front lines of defense against our common enemy, whether that be on the battlegrounds of the Middle-East or the intelligence and law enforcement agencies of Western nations. If we align ourselves as was necessary in WWII and work with the delicate balancing act between diplomacy and nationalism God can use many players to bring about His will on Earth in this age. ANALYSIS: Now that the dust is settling on the American presidential elections, we can discern a revolution taking place in religious and nationalist governments worldwide against the dominant globalist agenda. With the end of World War II and its aftermath in Europe in the early 1950s, we witnessed mostly socialist or social democratic ideologies which came to fruition in the formation of Benelux, the Common Market, and later the European Union. These alliances grew out of the understanding that it was crazy for white, Christian Europeans to slaughter each other in the millions over the last two millennia. Indeed, one of the greatest accomplishments in Europe over the last 60 years is that war between white, European Christians has been avoided, with the exception of the breakup of the Republic of Yugoslavia into ethnic sub-states. The dominant ideology of the Europeans became social democracy and its conclusions were as follows: War is evil. War is caused by nationalism and religion. Nationalism and religion come from God. Therefore they claim that God is evil. So God is effectively banned or at least becomes delegitimized. As long as the Soviet Union was Communist and atheist in nature, Western Europe could live with it in spite of the Cold War. But this changed with the rise of Vladimir Putin, an Orthodox Christian believer who seeks to restore the greatness of Russia by means of a revival in the Russian Orthodox Church. Atheism in Russia tried to abolish all religions: Christianity, Islam, and Judaism; but today, these three religions are making a great recovery and resurgence. The “One World Government” cannot stand this, so Putin has become an enemy of this globalist system for whom mammon is God. Similarly, Prime Minister Benjamin Netanyahu is seen as a religious and nationalist Jewish leader, and so Israel cannot be tolerated either. On the other hand, Russia and Israel now have a lot in common. And then there is the Brexit decision of the British people who don’t want some non-elected bureaucrats in Brussels trying to flood the United Kingdom with primarily Muslim refugees seeking asylum from the horrors of their home countries. Such a tide of refugees would mean the end of Britain being British. So, against the odds, the Brits opted to disconnect from the EU. Here, too, this is the beginning of a religious-nationalist revival to preserve Britain’s ethnic identity. The next domino is the right-wing regime in Budapest which is seeking to close its borders and block the EU’s allotment of refugees to Hungary. Likewise, the election of Donald Trump as president is a sign of the awakening of Christians and Jews who don’t want to see traditional America being taken over by foreign, illegal, and in many cases Islamic immigrants/refugees who could change the ethnic nature of the US and turn it away from the God of Abraham, Isaac, and Jacob. We are also seeing demonstrations in the US by some of these minorities against the free and fair election of Donald Trump. Trump, though not a religious or evangelical Christian, is nonetheless seen by the globalists and anarchists as representing the Christian agenda. That makes him a threat to proponents of the atheist, godless One World Government which is attempting to control the world. I do believe that Trump, Putin and Netanyahu can get along marvelously. I also see more countries worldwide joining this coalition of Bible-believing nations and leaders. This could begin a worldwide revival that would overturn the imposition of globalism on the nations. It seems clear that the Brexit has an encore: the Amerexit. Click on the link to watch several teachings that Victor did on YouTube about 7 years ago. This is part three of a multiple series of teachings about Radical Islam that begins with “Allah is Satan” and continues into some rich facts of history that we are willingly ignorant of in most Western cultures. 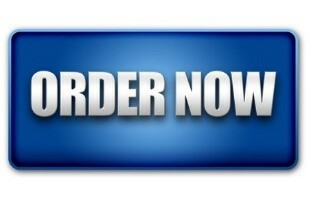 Click the button to order your copy. 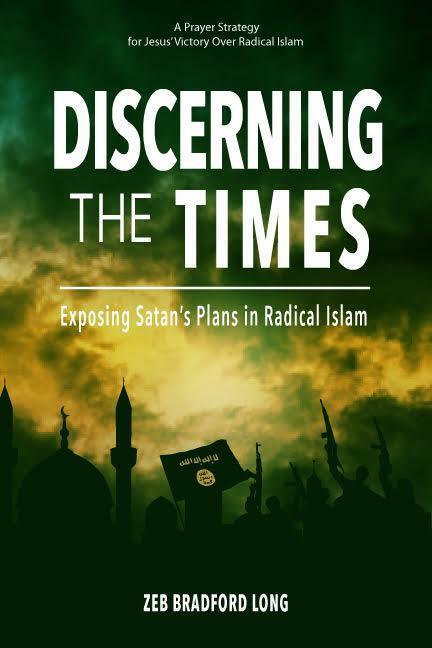 PRMI’s Executive Director Brad Long has released the second book in this series to inform your prayers on issues surrounding Radical Islam. The Rev. 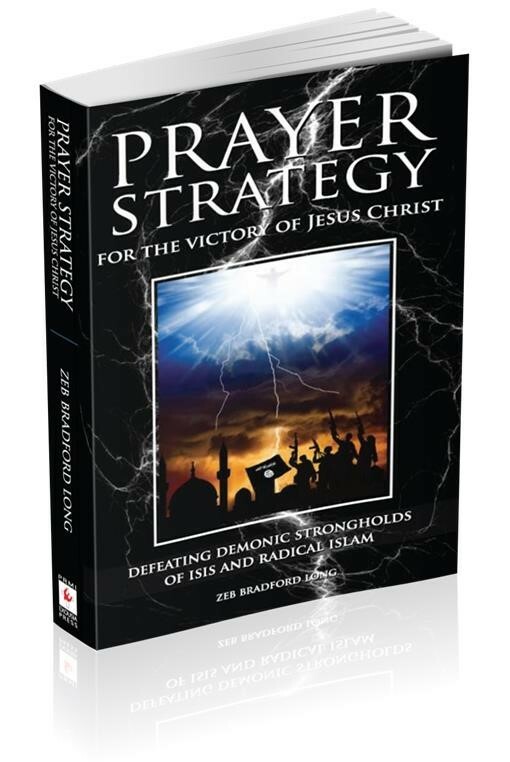 Dr. Zeb Bradford Long developed this prayer strategy out of a careful study of biblical examples and past great intercessors, such as Rees Howells, who have cooperated with the Holy Spirit in defeating Satan’s strongholds. Over three decades he has been in many prayer battles to advance the Kingdom of God, often in cross-cultural contexts. 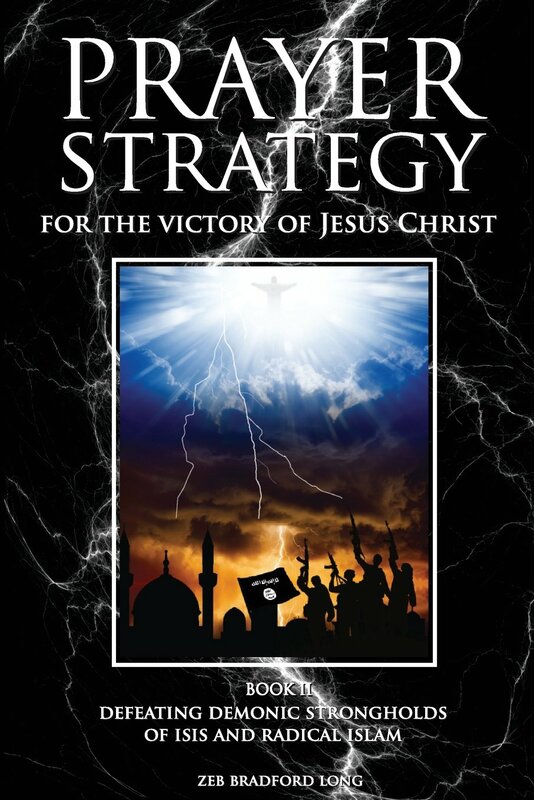 Applying biblical principles in these engagements provided the battle-tested strategies and tactics the Holy Spirit may call us to employ as we share in the victory of Jesus Christ over Satan’s plans for genocide and subjugation through Radical Islam. Blessings of the Season and for the new Year. I agree with the discernment re Russia as a potential ally politically in stopping radical Islam and certainly the Eastern Church as a spiritual ally. I have one caution to pray into this. Politically, the U.S. has stepped back from its interventionist policies and I believe it is moving toward a kind of isolationism or non-involvement on the ground in the Middle – East. Russia has stepped into this vacuum and is now the primary big power player in Syria and the ME. This is motivated by U.S. self-interest not being served by that area anymore. The U.S. no longer needs their oil. Military involvement is very costly in dollars and potentially politically costly if body bags and terror strikes increase….I think there is a great danger of the U.S. stepping back from active engagement…or rather from re engaging after the Obama admin really has pulled back. Russia is now calling the shots in Syria and has invited the Trump admin to join the peace process when it comes into power in January. The invitation is NOT to be the leader but to follow Russia’s lead. This may be a problem as well for a leader who wants to make America great again….playing second fiddle may not play well. Again my prayer concern is that the U.S. take its proper place in the battle both spiritually and politically/militarily. The spiritual battle is primary…..If my people will humble themselves…. I think the U.S. will also need to walk humbly in the political realm after its failed attempt at regime change in Syria and currently weak position in the ME. Those are my prayerful thoughts. Dear Russ, Thanks for your discernment on this.